Vancouver's Crystal Pite and Jonathon Young have demonstrated that our town takes a back seat to no one when it comes to dance. Their dance-theatre work Betroffenheit has topped a list of the best shows of the year by U.K.-based dance critic Luke Jennings. Jennings writes for the Observer and his list appeared on the website of the Guardian, which is the Observer's sister paper. He called Betroffenheit a "vast, terrifying and ultimately redemptive work of art". Pite, the artistic director of Kidd Pivot, choreographed the exploration of grief by Electric Company cofounder Young, whose daughter died in a cabin fire seven years ago. The Guardian's Judith Mackrell gave Betroffenheit a five-star review when it was shown in London last spring. "Young’s performance, choreographed by Pite, is searingly physical as he flips between a wracked, gaping state of nightmare to an ironic, unreal calm," Mackrell wrote. "The starkness of the lighting, the unrelenting sound score, the insistent rhythms of the voiceover all evoke the horror of a man trapped inside his head." 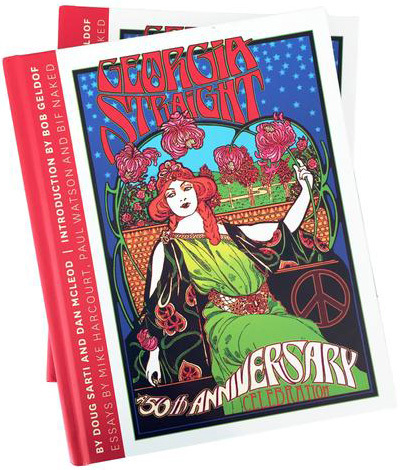 Georgia Straight arts editor and dance critic Janet Smith was also blown away by the production. "Betroffenheit is a German word for a kind of shock that defies words, and fittingly, this is a show that will leave you speechless," Smith wrote in her review. "The dance-theatre hybrid is visually stunning and intensely moving, and on opening night prompted an extended standing O from Kidd Pivot and Electric Company Theatre’s hometown crowd." The show will continue touring in 2017 with more performances in London as well as in Adelaide, Belgrade, Lyon, and Barcelona.